Gluten Free Banana Muffins Recipe is a light and fluffy muffin made from ripe bananas, brown sugar, and cinnamon. 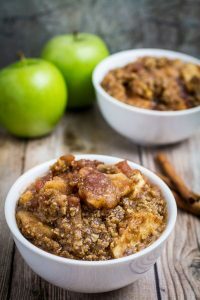 They’re the perfect way to use up ripe bananas, and something everyone can enjoy for breakfast. Plus, they’re gluten free! 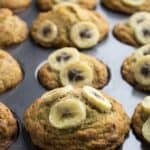 If you like this Gluten Free Banana Muffins Recipe, you’ll also love these Gluten Free Pumpkin Muffins, Gluten Free Blueberry Muffins, and Strawberry Banana Muffins with Crumb Topping! 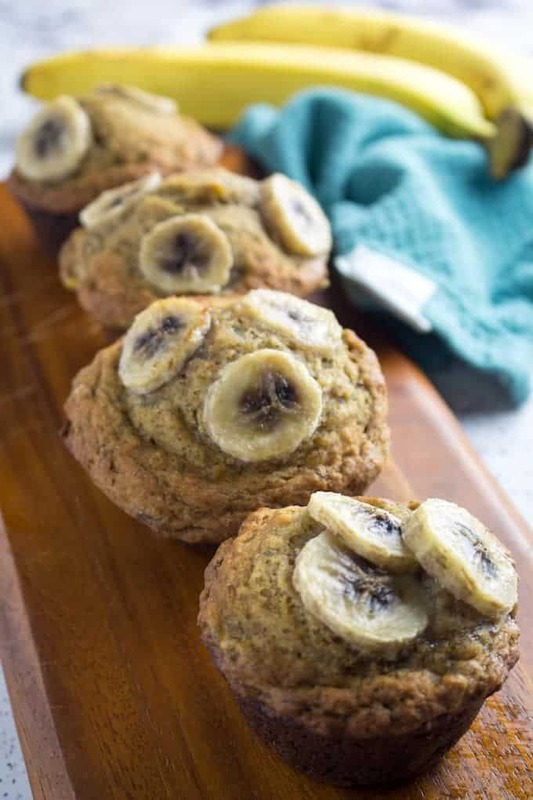 Gluten Free Banana Muffins are the perfect grab-and-go breakfast idea for weekday mornings. They’re soft and fluffy, and full of sweet banana and cinnamon flavor. Plus they’re a great way to use up ripe bananas, and your family won’t even realize that they’re gluten free. You can also throw in walnuts, or a sprinkle of sugar on top to sweeten these up a little bit! 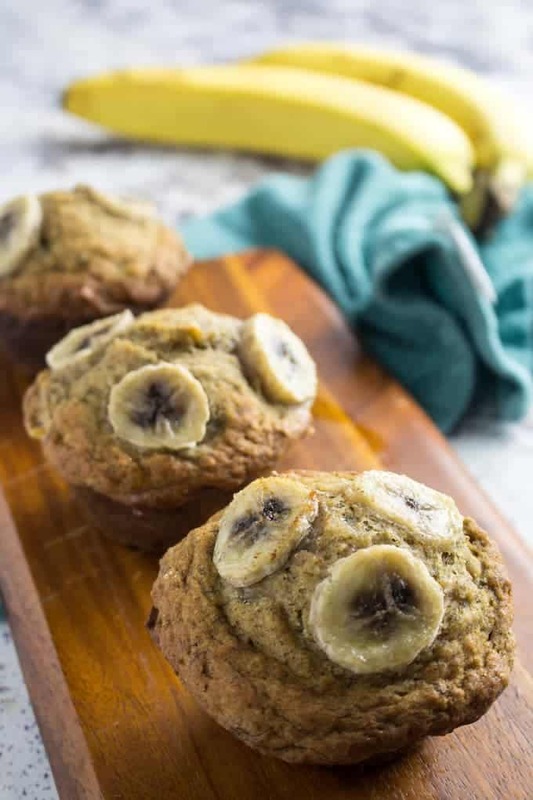 What flour do you use in a gluten free banana muffins recipe? For these gluten free banana muffins, I used a cup-for-cup gluten free all purpose flour. 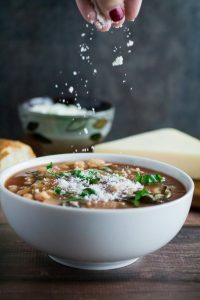 If you do end up using a flour blend then is not cup-for-cup, I would recommend weighing out 140 grams of the gluten free flour blend per 1 cup of flour. For the record, this is a general rule for all gluten free baking! 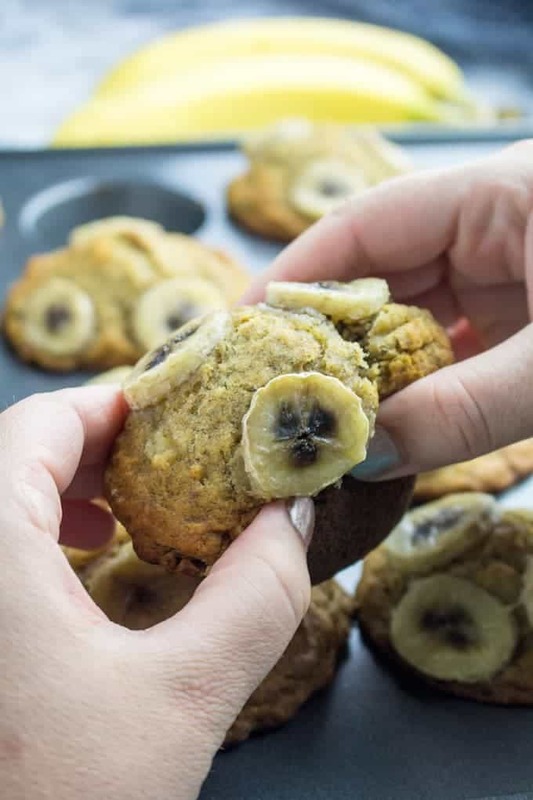 One of the great things about making gluten free banana muffins is that the mashed banana is going to keep your muffins from getting crumbly, like gluten free baking sometimes does. Hooray! What’s the difference between banana bread muffins and banana bread? The short answer is, there’s no difference. Banana bread muffins and banana bread are both a type of quick bread. Which basically means there’s no yeast in the dough, and you can easily convert it from banana bread to banana bread muffins. 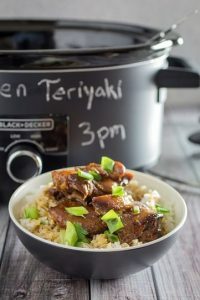 You just have to lower the cooking time by about half. For this banana bread muffin recipe, I divided the dough evenly between about 15 muffin cups. If you want them all to be exactly the same size, use a measuring cup to measure how much dough you’re scooping in. Sometimes I’ll use an ice cream scoop for thicker dough, but this banana muffin recipe will be a little bit on the thinner side. Don’t worry! They’ll still bake up awesome. How to Make Banana Muffins, Or Any Gluten Free Muffins! Don’t over work the dough. When you’re making muffins, you want to stop mixing the dough when it’s just mixed through. In fact, if you have a little bit of flour here and there that’s not 100% mixed through, that’s totally fine! If you mix it too much, you’ll get flat muffins. And nobody wants that. Use double-acting backing powder. I can’t tell you how many times I’ve had my muffins come out flat, only to realize that I used a baking powder that wasn’t double-acting! This is a really important part of getting a fluffy muffin top. You should also make sure the baking powder you’re using is gluten free. Don’t skimp on the vanilla extract. One of the first things I do when making a gluten free muffins recipe is to up the vanilla extract. The gluten free flour sometimes just needs a little extra help in the flavor department. 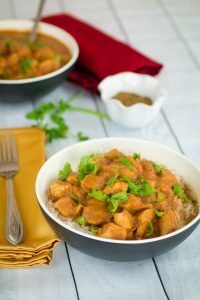 Bananas add texture, too. This is a banana muffin recipe, so it’s an obvious ingredient. But when baking gluten free muffins, including fruits or vegetables actually adds a lot of great moisture to it, and stops it from falling apart. 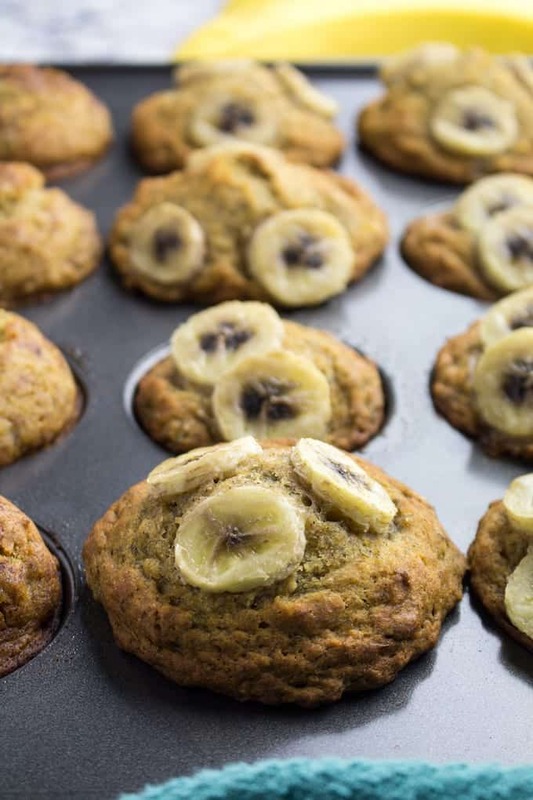 Gluten Free Banana Muffins Recipe is a light and fluffy muffin made from ripe bananas, brown sugar, and cinnamon. 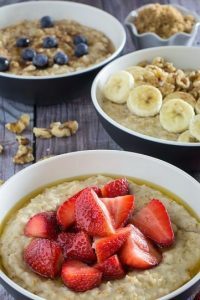 They're the perfect way to use up ripe bananas, and something everyone can enjoy for breakfast. Plus, they're gluten free! 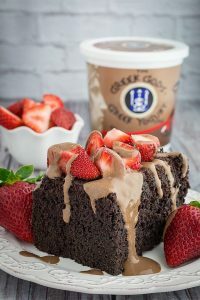 In a medium bowl whisk together dry ingredients (gluten free flour, sugar, baking powder, baking soda, cinnamon, and salt). Add wet ingredients (bananas, egg, butter, and vanilla). Stir until just combined. Be careful not to over mix. Scoop batter evenly into muffin tin. Top with banana slices. Bake for 25-30 minutes, or until muffins are golden brown. 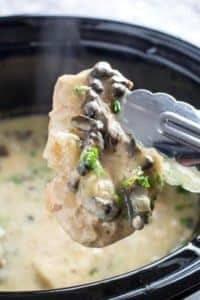 Previous Post: « Philly Cheese Steak Dip – Gluten Free! 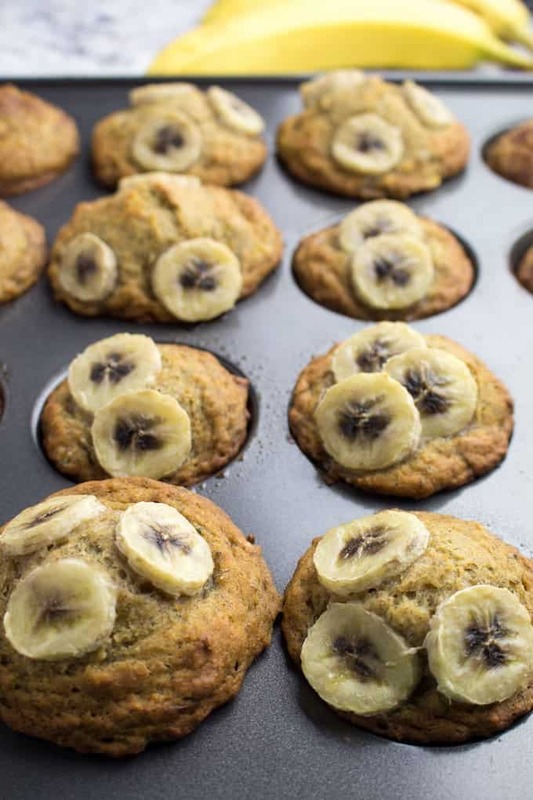 Totally delicious banana muffins recipe — my gluten-free belly thanks you! Yay for non-crumbly gluten-free muffins! These were awesome! 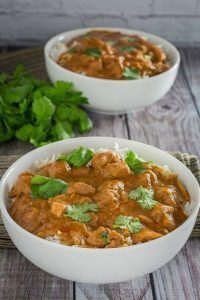 My guys LOVED these! They go crazy for anything banana!